Watch Seve’s adorable Mandarin tutorial. 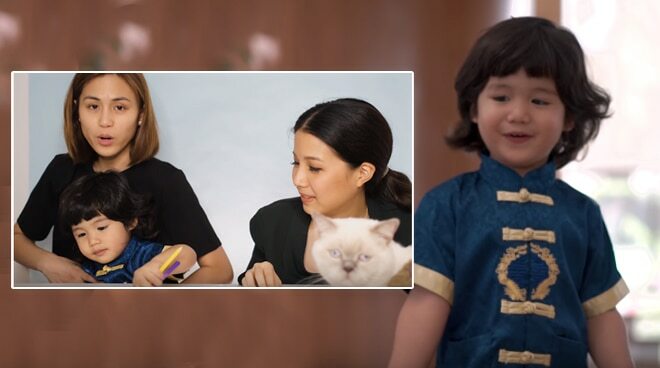 Content creator and artist Winnie Wong invited Toni Gonzaga and Paul Soriano's 2-year-old son Seve for a Mandarin tutorial with her. Winnie is the girlfriend of Patrick Soriano, Paul's brother. Winnie taught Seve how to count and how to speak basic greetings in Mandarin. "Since he is two years old, I completely understand that it's important for him to just hear and associate words together. We're just trying to have fun!," Winnie stated. Toni was also present during the tutorial and joined Seve during his Mandarin lesson. "There is a motherhood intervention that is happening here because Seve is not cooperating. He just finished his tutorial class so his brain is toasted," Toni quipped. The video has already gained more than 500k views as of this writing.